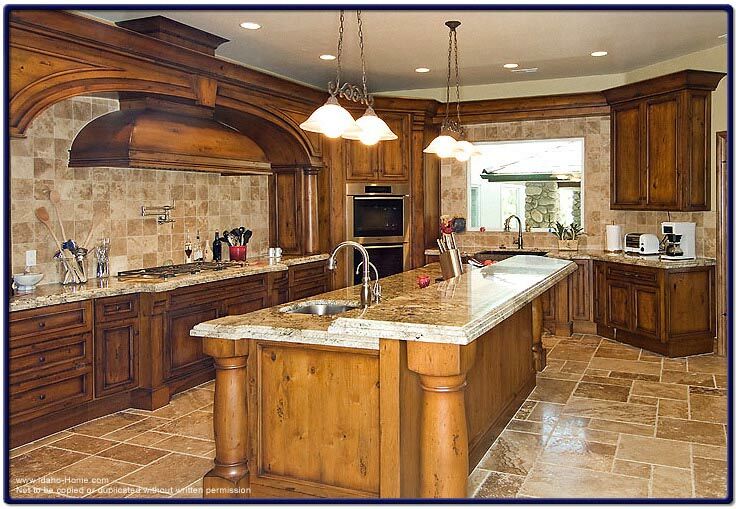 This picture is an overall view of a large kitchen in in custom luxury home. At the center of the kitchen is a table top with a sink and faucet and drawers on one side for your kitchen utensils. Plenty of cabinet space are built into this kitchen, a necessary requirement for those gourmet cooks. The stove is gas burning and the refrigerator is built into the wall. The kitchen cabinets can be custom built in many sizes and color schemes.